The Grand Prix of France must not be confused with the French Grand Prix of past years, or to give it its correct title, the Grand Prix of the Automobile Club de France. 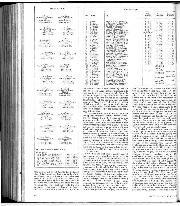 In 1906 the ACF ran the first Grand Prix which set the pattern for races run under various Formulae down through the ages. The Grand Prix de l'ACF was always a grand affair, offering motor racing in the grand manner, but over the years the scene changed and life itself changed. 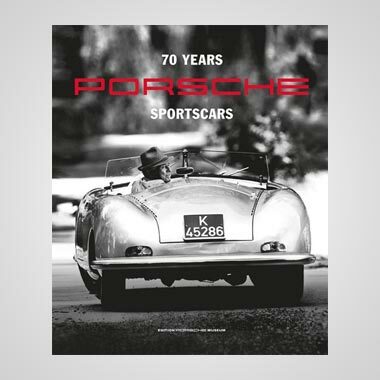 France and the racing fraternity lost interest in doing things on a grand scale and the end of an era came in 1968 when the Automobile Club of France relinquished the organisation of the French Grand Prix to the Federation Française du Sport Automobile. Since then the event has been called the Grand Prix of France and has been run on various circuits, each one getting less grand and with less character so that the race is now a small "circus act" on the quaint little Dijon-Prenois autodrome. Formula One in France. The little autodrome has been lengthened over the past winter, adding a loop in the middle of the wiggly back-section of the rectangular circuit. Dijon-Prenois doesn't have much to offer, but it does go downhill and uphill, albeit rather briefly. The new loop has added a long dropping left-hand bend, a short straight covered by a brief dab on the accelerator, a sweeping right-hand hairpin, another brief squirt uphill to a left-hand bend that goes on and on as it joins the existing circuit. A magnificent increase of 511 metres, and some 14 seconds to the lap time! For all its smallness and "village circus" atmosphere the end result was pleasant enough, especially if you have never experienced anything better. For the Formula One race of France it was more or less adequate and any short-comings were more than made up for by the arrival of summer in the very pleasant countryside of the Bourgogne district of France. The regular hassle involving the organisers, the Constructors Association and the non-members of that Association ran its usual pre-race course, with the result that some of the hopefuls who want to join the "circus" got left out. With only 22 starters permitted by the CSI due to the smallness of the circuit, the total of 29 that were accepted for the qualification days meant there would be seven unhappy ones and the "prima donnas" would find the circuit crowded at times. For a change summer seemed to be coming to Europe and all was set fair when practice began, though there was a head wind on the long uphill straight past the pits. Most teams had been "testing" at the circuit the previous week, so there was nothing for the drivers to learn, except to try and find a combination of tyres, wing angles, springs, anti-roll bars and shock-absorber settings that they could cope with round as much of the little circuit as possible. While the downhill left-hander caused some cars to wallow about from under-steer going in to over-steer coming out, some drivers seemed able to get the car nicely balanced and could corner with the power on. The same ones could also cope with the long left-hander coming out of the new loop. Needless to say, this same group could also leave the last corner faster and thus be visibly faster on the straight past the pits. In the top bracket it really all boils down to driver ability and as practice progressed it was the usual names that appeared at the top of the list, with Andretti setting the pace. Significant was the fact that Gunnar Nilsson was second fastest in the first hour and a half of practice, the only noticeable difference between him and Andretti was that the Swede was a bit untidy, with opposite lock here and there, and wheels on the kerbs, while the American/Italian was smooth and effortless. When they stopped Andretti was completely relaxed and unflurried, having been driving well within his limits, as a job of work; Nilsson, on the other hand, was looking hot and sweaty, having been putting all he had into his driving, his enthusiasm and effort being well worth while. Not everyone had an easy time, the Brabham team being in trouble with their Alfa Romeo engines. Watson was delayed by ignition trouble and Stuck had to take the spare car when his own had engine trouble. A roller bearing somewhere inside broke up and bits of bearing cage were found in the oil filter, so a new engine had to be installed. The lesser runners were also having their troubles. Merzario's mechanical fuel pump packed up on his ex-works March, while Neve had to stop practice when a front hub thread got chewed up on the Frank Williams March. Fittipaldi came into the pits with his rear aero-foil pointing tip at the sky, but it was soon put right. The BRM had engine troubles. The McLaren team were quietly making progress with the M26 and Hunt was well in the running, with third fastest time overall during the morning, ahead of Laffite in the Ligier and Reutemann in the first of the Ferraris. Scheckter was being plagued by a recurrence of fuel feed trouble on the Wolf, which made his progress very frustrating. The two Shadows were well in mid-field, with Riccardo Patrese back in number 16, and close behind Alan Jones in the other Shadow. In the afternoon the scene changed a little when Watson's Alfa Romeo engine came on full song and he just pipped Andretti for the fastest time of the day. A mere three-hundredths of a second faster, but both driver and car looked very good at that pace. Jody Scheckter was still in trouble with misfiring, and took the spare Wolf out at the end of the session, and Stuck had to go on using the spare Brabham while the new engine was being installed in his own car. Regazzoni concentrated on the second Ensign, without the mods and found it more to his liking, while in the Surtees team Larry Perkins was making little headway in the second car, though Brambilla was not a lot quicker. By now most of those who were going to go fast had settled on workable compromises of all the variables they can fiddle about with. Watson and Andretti were in a class of their own, under 1 min. 13 sec., while the next fourteen drivers were covered by less than one second. This suggested that the circuit was not a very difficult one. The day ended with most of the usual names in the top ten and most of the usual ones in the bottom ten, though it was the bottom seven who were going to have to make a big effort. The time-keepers caused a flutter in the works March camp by crediting Ribeiro with 1 min. 13.89 sec., but this was later corrected to 1 min. 15.89 sec., which made more sense. On Saturday morning it was announced from the Surtees team that Perkins was being replaced by Patrick Tambay in TS19/02, a strange move not calculated to cause much of a stir in the dove-cote. 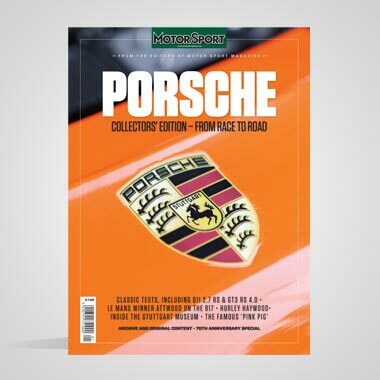 For one and half hours on Saturday morning everyone circulated "on test" with times not counting for the starting grid, some teams trying their cars on full petrol tanks and on tyres for the race, others still experimenting and fiddling about to try and improve their cars. By the time the final hour of practice arrived there was an air of confidence about the Lotus pits and Andretti and Chapman looked to be in complete accord. At McLaren's all was well, for Hunt was really on form, and Mass was not far behind in the M23. Watson was not making any improvement, but Brambilla had finally got the Surtees going properly and was well in among the top ten. A surprising intruder among the elite was Rupert Keegan with the blue Hesketh, but an improvement of nearly 2 seconds looked more like a time-keeper's error than a flash of driving brilliance. Unlike Ribeiro's Friday time, Keegan's was not corrected so had to be accepted as fact, though time and the race would tell. For a time it looked as though Hunt was going to hold pole position on the grid, but Andretti had the situation well weighed up. While Hunt was holding fastest time with 12 min. 12.73 sec, Andretti went out for three laps and put in 1 min. 12.21 sec., just like that, over half a second quicker round the funny little Autodrome. He was about to go out for an even quicker lap when practice ended. You could tell that the Chapman/Andretti combine was properly tuned in for they had stopped making adjustments to the Lotus. All that was done before Andretti went out for the three decisive laps was that water was poured over the tyres, to cool them off. Undoubtedly Chapman and Andretti know why and when they need to cool the tyres with water. Lauda and Ferrari were seen to water their tyres but for what reason one can only guess! 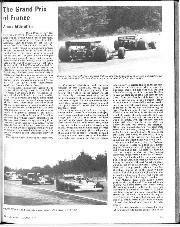 On again Andretti and the Lotus 78 had demoralised everyone and with no visible strain. On Sunday the race was due to start at 2 p.m., for 80 laps of the little autodrome, which was packed full of spectators, both the paying kind and those who came through the back doors and across the fields. The inevitable Renault-sponsored races filled in the spare time but there was no sign of the Formula One Renault turbo-charged car, though it had been out on test in the circuit the previous week. The 22 cars chosen from the list after practice set off on a warm-up lap, round to the grid, the two reserves having prepared themselves needlessly as all the qualifiers were ready to go. On the front row were Andretti and Hunt, the Lotus 78 using a Nicholson-McLaren Cosworth DFV engine and the McLaren M26 using a Cosworth Development engine direct from the Northampton factory. In the next row were Nilsson and Watson, the Lotus number two doing a great job of backing up the team leader. The Ulsterman in the Alfa-Romeo (Brabham) was well to the fore as usual, as was Laffite in row three with the Ligier-Matra V12, and alongside the Frenchman was Reutemann in the first of the Ferraris. Any of those six were potential winners and with five makes of car amongst them, four makes of engine and five nationalities, Formula One certainly provides variety. Andretti led the field round on the controlled warm-up lap, they paused on the grid, the green light shone and the Grand Prix of France was on. Very uncharacteristically, Andretti provoked uncontrollable wheelspin on his Lotus and slithered about trying to regain some grip. Hunt made a splendid start and was gone, while the rest were a bit put off by the smoke from Andretti's tyres. Hunt did not wait for anyone, and he was followed by Watson, Laffite and Andretti. Round the back of the circuit Jochen Mass did the traditional McLaren high-flying act, off Reutemann's Ferrari and while the other twenty-one cars went on their way "Hermann-the-German" had to limp round to the pits with a bent steering link. It was straightened with a shrewd blow and the M23 rejoined the race in last place and a whole lap down on the leader, which was still Hunt in the M26. Andretti got past Laffite on lap 2 and by the end of the next lap the first three cars had opened out a gap from the rest of the field. 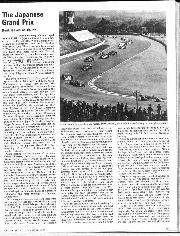 Hunt's lead was clearly a tenuous one, brought about by the lightning start and by lap 5 Watson had stormed past the Mclaren putting the red Alfa Romeo (Brabham) in the lead, while Andretti was not finding it too easy to pass the McLaren, for the reigning World Champion was having a good go. On successive laps three of the tail-enders retired, Jarier with the ATS-Penske going off the road and blaming the brakes, Purley doing likewise with his Lec and Patrese with his Cosworth V8 blown up. The young Italian had cooked his clutch at the start and dropped to the back of the field and then it had gone solid and he tried to change gear without the clutch and lack of experience of this sort of thing had caused the engine to cry "enough". 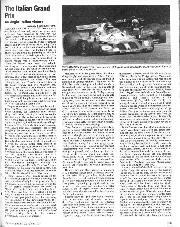 While Andretti was trying to get past Hunt, the leader was pulling out quite a long gap over them, the Alfa Romeo flat-12 engine seemed to be singing really well and Watson was looking very confident. Laffite was in fourth place leading Nilsson, Scheckter (J. ), Lauda, Brambilla, Jones, Reutemann, Depailler, Peterson, Regazzoni, Stuck, and Merzario all more or less evenly spaced out. Bringing up the rear were Ian Scheckter, Fittipaldi and Keegan, with Mass all on his own and a lap behind, but gaining on the tail-enders. It was not until lap 17 that Andretti got past Hunt, by which time Watson was nearly five seconds ahead. Lauda had taken sixth place from Scheckter's Wolf and a spin had put Brambilla way down the field, while Reutemann was snaking up for time lost on the opening lap when Mass ran over him. At 20 laps Watson had almost six seconds lead over the Lotus, but now rid of Hunt, the Lotus driver settled down to nibbling away at those six seconds. The column of cars behind these three was resolving itself into interesting groups, with Laffite, Nilsson and Lauda in very close company, then Scheckter and Jones, with Reutemann gaining on them, followed by Regazzoni in the Ensign and the two Tyrrells, there being nothing to choose between the two blue and white six-wheelers. Peterson was very dissatisfied with his position and stopped to have the left front tyres changed and Brambilla also stopped to change a front tyre. This was on lap 21 and Depailler was also thinking of stopping to try some different front tyres, but he never got the chance, for at the end of the pits straight Stuck ran into the Tyrrell, bending its front suspension and damaging the Alfa Romeo's rear aerofoil side-plate. While Depailler sat fuming in the dirt, the unruly Stuck carried on. Undoubtedly the best of the private-owners, and making the works Marches look a bit silly, Merzario's run came to an abrupt end with a broken gearbox. Stuck lost time at the pits having his damaged aerofoil "trimmed" and rejoined me race a lap behind the general run of the field. Everything appeared to settle down into a procession, though in fact there was some hard driving going on, even though nobody could change positions. Andretti was gaining on Watson, but only by fractions, and whereas the gap had been nearly six seconds it was now nearer five seconds. Hunt was still a secure third, Laffite was a precarious fourth, with Nilsson and Lauda hounding him, Scheckter and Jones were running seventh and eight, but Reutemann was catching them, as was Regazzoni in tenth place. A long gap ensued before Ian Scheckter and Fittipaldi arrived, having a nice scrap together, but soon to be lapped by the leader. Keegan was already a lap down and Mass was gaining on him steadily, though they had Stuck and Peterson between them, while Brambilla was running last. At half distance there was no change of position among those on the same lap as the leader, though Andretti had now got the gap below five seconds rather than above five seconds. 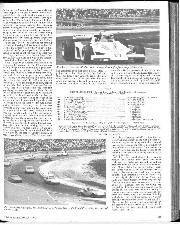 As they began to lap the not-so-slow mid-field runners, Andretti closed up visibly on Watson and at 50 laps the gap was down to a bare three-and-a-half seconds. The race between Ian Scheckter and Fittipaldi at the back of the field got too close at one point and the works March got its nose run over, necessitating a stop for repairs, while the great scrap between Lafitte, Nilsson and Lauda now became fouled up by Stuck; he was about to be lapped by this trio and instead of letting them go by he stayed in the way and made a complete nuisance of himself. This went on for lap after lap, the Brabham-Alfa driver ignoring all the rules of the game and it was not until lap 66 that the situation resolved itself, and then in a most unfortunate way. During the struggle to make the German get out of the way, Nilsson got in front of Laffite, but still the Brabham-Alla baulked them. Finally Stuck lost control and spun, Nilsson shot by on one side, Laffite on the other and the Brabham-Alfa rolled back right into the path of the Ligier and there was nothing Laffite could do. He hit the red car and damaged the Ligier's nose cowling. Thankfully Stuck could not restart as the cable operating the air-bottle starter was broken, so he was safely out of the way. Laffite limped back to the pits to have a new nose cone fitted, but had now lost all hope of a decent position. Meanwhile much had been happening elsewhere for Reutemann had passed Jones and Scheckter and Regazzoni was closing on them. On lap 61 the Shadow broke a drive-shaft and Jones limped to the pits to retire after a very spirited drive. At the front of the race it was a different story altogether for Andretti was right on the tail of Watson's Alfa Romeo, and looking for an opportunity to pass, but on the tight little circuit there was no opportunity. The Lotus was almost touching the Alfa Romeo gearbox as they started the straight, but a sizeable gap had opened up by the end of it, the Alfa Romeo being faster at the top end than the Lotus. While they were this close they came up behind Regazzoni who was equally close to Scheckter and looking for a chance to go by. The Wolf was not running properly, still having fuel feed trouble and on the lap that the leaders went by the Wolf gave a hiccough and the Ensign nudged it up the backside. Scheckter ended up off the road with a flat rear tyre, Regazzoni was lapped by the leaders but now held seventh place, and Watson and Andretti now had a clear road ahead of them. With ten laps to go Andretti could see no hope of getting by Watson, for the Ulsterman was driving splendidly and showing no sign of making a mistake, no matter how hard Andretti pushed him. Both cars were running perfectly, and with four laps to go they were behind Reutemann, who was running in a lonely sixth place. For a short while he held them up, but then had to suffer the indignity of being lapped by "the other Italian flat-12" - shame! 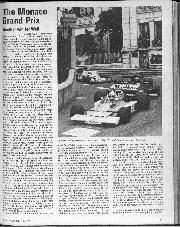 Into the closing laps Watson was completely confident and though Andretti had resigned himself to being second he had not given up and was still hard up behind the Brabham-Alfa. On the last lap they went into the new loop on the back of the circuit, nose to tail; round the hairpin there was no change, but up the sharp rise the Alfa Romeo engine hesitated. Instantly the Lotus was alongside as they went into the left hand bend. Side-by-side, with their wheels almost touching they took the left-hander, the Alfa Romeo engine coughed again and the Lotus was in front and romped towards the finishing line and the chequered flag to the surprise and consternation of all those in the pits. The Brabham finished in second place and on the slowing down lap it coasted to a stop. The fuel tanks were bone dry. 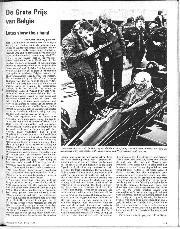 A very unhappy John Watson hitched a lift back to the pits on the side of Lauda's Ferrari, to second-place laurels. The Brabham team had calculated their fuel consumption, added 3 gallons more than they needed, but had cut things too fine. If only Andretti had not been so close Watson could have spluttered his way round that last half a lap and still won. But Andretti was that close, waiting for just such an eventuality. 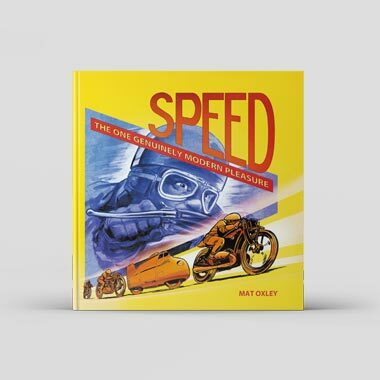 He is a professional racer and a race isn't won or lost until the chequered flag is passed. He was resigned to being second, but was determined to be a close second rather than a distant one, just in case, and it paid off. 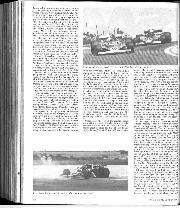 He could have been coasting gently along in a secure second place, "gaining valuable points for the season's championship" as the media-men tell us, but he wasn't, he was racing to the bitter end and that one hesitation as the Alfa Romeo engine ran short of fuel was all he needed. Luck maybe, but it wasn't luck that had the Lotus so close to the Brabham; that was a racer racing - each race is there to be won. All this rather overshadowed the remaining runners, but Hunt's third place was never challenged and indicated that both he and the McLaren team are still a force to be reckoned with. Nilsson did a fine job in finishing fourth and Lauda was fifth, still up amongst the top runners: Reutemann was sixth and Regazzoni seventh. The unfortunate Laffite could only retrieve eighth place, and Jochen Mass took ninth place from Keegan on their very last lap. Thhe remaining four runners were a pretty disconsolate lot, Fittipaldi's new car not being very competitive, Peterson stopping a second time to change all the front tyres, Brambilla having at least two more spins and a stop to change the left front tyre again, and Ian Scheckter finishing with the March nose almost falling off. 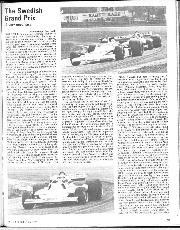 Not surprisingly Andretti made fastest lap, on lap 76, as Watson was held up by Reutemann, and he saw his opportunity to close right up. It was a nice little Formula One race, but hardly the French Grand Prix. -.D.S.J.